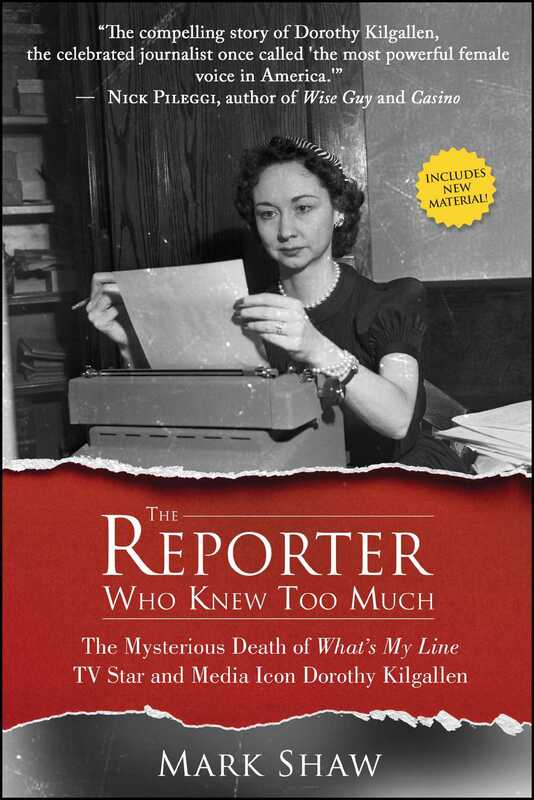 Was What’s My Line TV Star, media icon, and crack investigative reporter and journalist Dorothy Kilgallen murdered for writing a tell-all book about the JFK assassination? If so, is the main suspect in her death still at large? These questions and more are answered in former CNN, ESPN, and USA Today legal analyst Mark Shaw’s 25th book, The Reporter Who Knew Too Much. Through discovery of never-before-seen videotaped eyewitness interviews with those closest to Kilgallen and secret government documents, Shaw unfolds a “whodunit” murder mystery featuring suspects including Frank Sinatra, J. Edgar Hoover, Mafia Don Carlos Marcello and a "Mystery Man" who may have silenced Kilgallen. All while by presenting through Kilgallen's eyes the most compelling evidence about the JFK assassinations since the House Select Committee on Assassination’s investigation in the 1970s. Called by the New York Post, “the most powerful female voice in America,” and by acclaimed author Mark Lane the “the only serious journalist in America who was concerned with who killed John Kennedy and getting all of the facts about the assassination,” Kilgallen’s official cause of death reported as an overdose of barbiturates combined with alcohol, has always been suspect since no investigation occurred despite the death scene having been staged. Shaw proves Kilgallen, a remarkable woman who broke the "glass ceiling" before the term became fashionable, was denied the justice she deserved, that is until now. More about the book may be learned at thereporterwhoknewtoomuch.com or thedorothykilgallenstory.org.